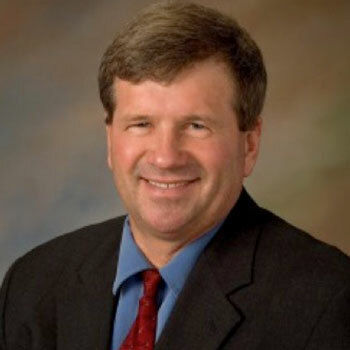 Rick Johnson was elected to the Michigan House of Representatives in 1998, representing the residents of Osceola, Wexford and Mecosta counties, and was re-elected as House Speaker for the 2003-2004 legislative session. Johnson served on the Pine River School Board from 1980 to 1986, and was an Osceola County commissioner from 1986 to 1994, including five years as chair. From 1994 to 1998, he was a Michigan Farm Bureau State Board member. Johnson is a lifelong resident and farmer in Osceola County, where he owns and operates his family’s nursery and tree farm. He graduated with honors from Pine River High School in LeRoy in 1971. He is the only state legislator who has received the Consortium for School Networking Award.